Sgt. Horace R. Little, son of Mr. and Mrs. H. B. Little, attended school in Thomas; husband of the former Beulah Lovelady. 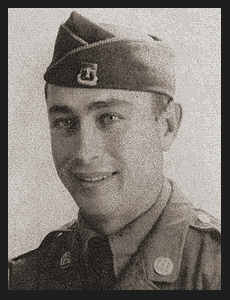 Entered Army in June, 1942, trained in Ft. Leonard Wood, Mo., Ft. Bragg, N. C.; served in N. Africa, Sicily, England, France, Belgium, Holland and Germany. Awarded Good Conduct Medal, ETO Ribbon with five Battle Stars, the Purple Heart, Silver Star, Cert. of Merit and Belgian Fourragere.